AES Detector now available in App Store ! 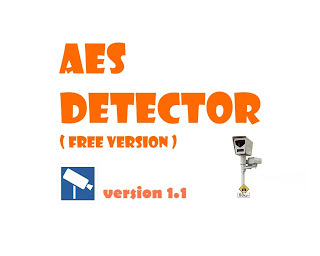 Finally, AES Detector now is available in apple App Store. It is FREE for download. The current version published in app store is the latest version same with android version. Feel free to try. Cheers. SHAH ALAM: The Automated Enforcement System (AES) does not change the existing law or regulations for traffic offences, said Road Transport Department deputy director, Ahmad Nasir Abdul Gani. "The public seems to be confused and consider the AES as a new law or regulation," he said during the central Ministry of Information Communication and Culture, Strengthening the Coordinating Committee Program, here yesterday. "For instance, a summon for beating the red light is still RM300 prior to the AES. The difference now is that there is a 24-hour monitoring system via the AES camera system," he said. A speeding ticket may also still be appealed, as before, provided there is concrete proof to mitigate it, he added. Commenting on a report stating there was more than 60,000 traffic offences recorded by the AES since September, Ahmad Nasir said they will verified first before summonses are issued. He emphasized that the AES was needed in order to reduce the high rate accidents and fatalities in Malaysia, with 19 deaths recorded daily. Hopefully the AES could educate Malaysian drivers to be more cautious as there are 22 million vehicles registered in the country, with an annual increase of 10 percent, he said. The two-day program, which started yesterday, was opened by the Information Communication and Culture Ministry, deputy secretary-general (Information), Datuk Dr Rothiah Omar. KUALA LUMPUR, Nov 22 — The home ministry told Parliament today that teaching policemen here how to use two models of speed trap cameras accounted for the huge difference of over RM200,000 per unit paid for by Malaysia compared with prices in the United States. Deputy Home Minister Datuk Wira Abu Seman Yusop said the suppliers had provided training to policemen here as well as for maintenance of the cameras used to catch speeding motorists. Earlier today, an opposition lawmaker demanded Home Minister Datuk Seri Hishammuddin Hussein explain the stiff price discrepancy of over RM200,000 per unit in two models of speed trap cameras for the police it had purchased 17 years ago. According to market prices then, the Laser Trucam model would have cost only US$5,000 (RM15,300) a unit while the Laser Digicam model would only be US$1,000 more, at US$6,000, Pokok Sena MP Datuk Mahfuz Omar said. These prices are reported to have been paid for by police departments in the United States to the suppliers. In his answer to Parliament, the deputy minister did not provide a detailed breakdown of the training costs. While he said that the contracts for the cameras were awarded through an open tender he did not reveal the name of the supplier. “The difference in price between ours and the ones in the US is because they are manufacturers while we import the cameras in. “There is an element of training provided by the supplier to the police, maintenance and also a two year warranty,” said Abu Seman. On Monday, Home Minister Datuk Seri Hishammuddin Hussein said the police had a total of 124 speed trap cameras worth RM23.5 million, which was first bought in 1995. “The price for each unit is as follows: a) Laser Digicam model at a total of 85 units with the price of RM173,925 per unit; and b) Laser Trucam model at a total of 39 units with the price of RM223,500 per unit,” Hishammuddin said in a written reply to Jerai MP Mohd Firdaus Jaafar’s question in Parliament on the total number of speed trap cameras owned by the police force and the price of each unit. The federal government recently proposed the Automated Enforcement System (AES), a controversial scheme with cameras to catch speeding motorists and those who beat the traffic lights. The 831 AES cameras will be installed by two private companies and the management of the operation system will passed over to the Road Transport Department within five years. Earlier this month, Deputy Home Minister Datuk Wira Abu Seman Yusop was reported telling Parliament that police would continue to use their mobile speed trap cameras despite the introduction of the AES. 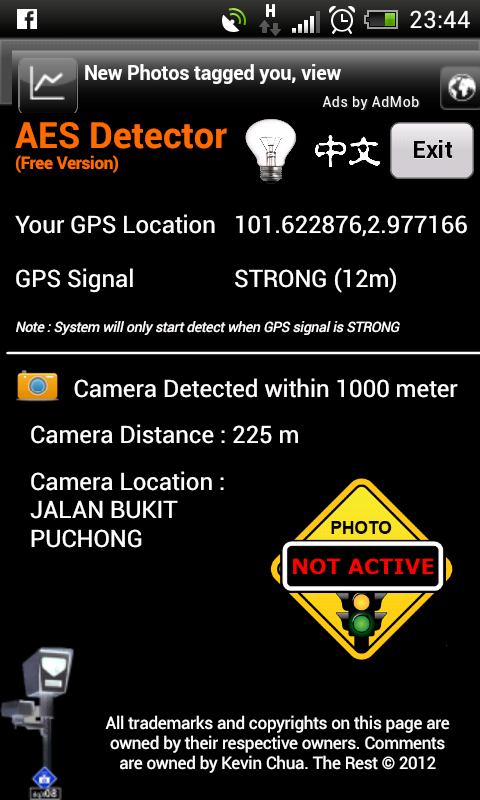 The AES cameras, which have received much opposition from the public, are in their pilot phase, with 14 installed in Perak and the Federal Territories of Kuala Lumpur and Putrajaya as well as Selangor despite the latter state’s Pakatan Rakyat government saying it is opposed to the privatised fine system. RESISTANCE IS FUTILE: Spray-painting Automated Enforcement System cameras won't cover up the benefits. The AES camera on the Temoh-Kampar road which has been vandalised. Some drivers have even tried to knock the camera down with their vehicles. FORMER United States president Franklin D. Roosevelt once said: "It is common sense to take a method and try it. If it fails, admit it frankly and try another. But above all, try something." It rang true for the government's initiative to implement the Automated Enforcement System (AES), which has taken the media by storm. Many quarters have given their two sen worth of opinions resulting in two camps -- supporters and opposers. Commuters, who have to drive long distances daily to work or hold jobs requiring them to spend more time on the road, could appreciate a system that nudges road users to be law-abiding drivers. Malaysians are nice people in general, but when it comes to driving, quite a number of us turn into monsters. Personally, I support the AES, not because I am expected to since I am working with the mainstream New Straits Times. I support it because it is common sense to do so, especially when I have to make a nearly 100km return trip every day to my workplace in Precinct 15. What is so bad about a system that can help to save lives? If the AES is able to raise drivers' awareness on the importance of safe driving, I am all for it. I believe all surviving families of fatal accident victims will back me up on this. New version v1.1.0 is available for update. - Fixing minor issued reported by user. Kindly update to latest version for better experience. KUALA LUMPUR: Transport Minister Datuk Seri Kong Cho Ha has rubbished claims that the two companies providing the Automated Enforcement System (AES) could counter-sue the Government if they did not receive sufficient profits from the summonses. "These are all lies. There is no such clause for that (in their contract with the Government to provide the AES)," he told reporters when met at the Parliament lobby here Wednesday. Kong also said the ministry was not considering to declassify the details of the contract to silence detractors of the AES. "The financial model for the two companies, as AES service providers, does not result in them earning an overly large amount of profit," he said. Kong's deputy Datuk Abdul Rahim Bakri said the contract was confidential and drafted by the Attorney-General. Abdul Rahim also defended the AES, saying it was a well-thought out initiative which started since 2003 and underwent an open tender system in 2007. Kong and Abdul Rahim were responding to calls from the Opposition to declassify the agreement made between the Government and AES service providers ATES Sdn Bhd and Beta Tegap Sdn Bhd. It was reported that the two companies were entitled to RM16 per valid summons for the first five million issued, and would share the remaining profit with the Government, up to a maximum of RM270mil for each company. However, Kong said the companies will only each receive 7.5% of the remaining revenue. To a question, Kong said the ministry had no plans to offer motorists discounts for summonses issued under the AES nor did it plan to defer the system's implementation. 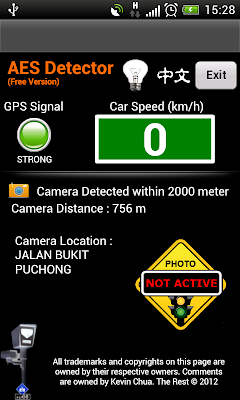 The main features build into this version is the beep pulse alert when your speed is beyond the speed limit. Besides, the driving speed panel will flashing in red color to alert you. Thanks again and appreciate your feedback and support. For those who are still confused about the type of summons received via post whether is issued by police or jpj, you can refer to this sample below. By comparing the summon picture placement is the most easiest way to identify the summon is issued either by PDRM or JPJ. KUALA LUMPUR: AN expert on the controversial Automated Enforcement System (AES) has denounced a suggestion put forth by consultants hired by the Pakatan Rakyat coalition that the system should only be enforced when the country's annual road fatalities reach 30,000. A leading authority in the Intelligent Transport System (ITS), Dr Khoriri Mohd Dimyati, said the 6,877 deaths a year are an overwhelming number for the country's population of 28 million. "According to a research conducted by Malaysia Institute of Road Safety Research (Miros) last year, over 17 people die in road accidents every day. "If we want to wait until there are 30,000 deaths per year, that would mean 80 deaths per day. What would happen to the population?" He said the country would suffer if no efforts were made to curb the fatal accident rates, notwithstanding Miros's research on road fatalities last year also stated that the country incurs losses up to RM1.2 million for each road fatality. The 30,000 threshold was among suggestions by the Pakatan-appointed consultants that were published in an online news portal on Wednesday, and comparisons were also drawn between road fatality cases in Malaysia and of highly-populated countries like India and Indonesia. In dismissing the suggestion, Khoriri claimed that some advanced countries have adopted the AES despite experiencing fewer road fatalities than Malaysia, citing Sweden as an example where the AES was implemented after just one roadside accident. The Universiti Teknologi Mara (UiTM) lecturer added that the North European nation, with a population of nine million, experiences only two road fatalities per year since the AES was brought in. Malaysia implemented the AES on Sept 23, but this decision has been met with backlash from various quarters, particularly from the opposition coalition. In addition, the summons at RM300 was regarded as burdensome to the people. Khoriri, however, pointed out that the implementation of AES was not about issuing summonses. "The AES was designed to create a healthier and safer driving attitude among road users, driven by the 'POBC' concept -- the Perception of Being Caught. "Just imagine when there is a roadblock up ahead or a traffic officer. Drivers would immediately check their seatbelts and put away their mobile phones. "They would not want to get caught breaking any traffic laws and this is what we want the system to do, to create this attitude. So instead of placing enforcement officers, we use cameras, which are more cost-effective," he said. The Newcastle University graduate said the system would address limitations of insufficient number of enforcement officers. He said that previous traffic operations were only able to bring about 40 per cent POBC awareness among drivers, compared to 25 per cent when there is no operation, adding that he is confident the AES would generate 75 to 80 per cent POBC awareness in the long run. In Kuala Terengganu, A. Azim Idris reported that the Congress of Unions of Employees in the Public and Civil Services (Cuepacs) has called on the Road and Transport Department to provide a briefing on the AES. Cuepacs president Datuk Omar Osman said while the union was not opposed to the system, he was concerned whether summonses would be issued to government drivers caught speeding while driving government vehicles. "If they (the drivers) are caught on camera, they would be the ones who would have to foot the bill, not their offices or bosses," he said, adding that as drivers were sometimes instructed to exceed the speed limit by employers who were rushing to appointments. He added the matter would be brought up at the Health Ministry Drivers Union meeting in Johor soon. IPOH: While there is an outcry among Pakatan Rakyat leaders on the Automated Enforcement System (AES), a company secretary, however, is giving the system thumbs up. Ng Lee Kee, 33, said her Proton Iswara Aeroback car was stolen in Canning Garden here on Oct 26 and it was captured by AES camera at Km204.6 of the North-South Expressway near Taiping on Oct 27 at 7.06am for speeding. "While many are against AES, I, for one, am supportive as it captured the face of the suspect who stole my car," she said here yesterday. Speaking at a press conference by Perak MCA Public Services and Complaints Bureau chief Datuk Lee Kon Yin, Ng said the AES had made it easier for police to nab the suspect. "Since receiving the compound on Nov 2, I have been having sleepless nights." Ng said she is now in a "Catch-22" situation as the state Road Transport Department insisted she pay the RM300 fine or risk being blacklisted. "I have written to the RTD director-general requesting the image snapped by the AES camera," she said, adding that she had lodged a report of her missing vehicle on Oct 26. 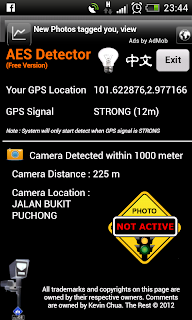 Clear warning: A camera operation zone signboard is seen at KM6.6 of Jalan Kajang-Puchong. PETALING JAYA: All speed traps, including those set up by the police, must now have warning signs alerting motorists of the cameras ahead. 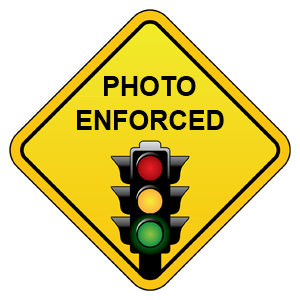 Signboards must also be put up before traffic light junctions to warn road users of cameras that would capture images of those who beat the red light. Road Transport Department (JPJ) enforcement director Jaafar Mohamed said for speed traps, warning signs would be placed between two and three kilometres away from police mobile cameras and those operated under the Automated Enforcement System (AES). “We have also agreed to an additional signboard within a kilometre of the camera to further caution the motorists,” he said in an interview. This means that there would be at least two warning signs to alert motorists of cameras ahead to effectively curb speeding. Jaafar said the move to make warning signs necessary was in line with the Road Transport (Camera-Recorded Offences) Rules 2012, amended in September this year, adding that Transport Minister Datuk Seri Kong Cho Ha had approved the changes. He said the warning signs for both the police speed trap cameras and AES would have the same specifications to ensure equal standard. Speed traps set up by the police and under the AES would follow the amended rules which, among others, state that a camera operation zone sign should be erected between two and three kilometres from the location of a static camera or mobile camera. Under the same amendment, a warning sign against failure to obey a red signal, must also be displayed between 50 and 500m from the location of the detector system for a static camera before traffic light junctions. Bukit Aman Internal Security and Public Order director Comm Datuk Wira Salleh Mat Rasid said on Thursday that police officers had been told to carry out enforcement operations in the open. He urged the public to inform the police district headquarters if they came across policeman hiding behind bushes or trees during operations. “The men in blue must be visible at all times,” he said. Jaafar said the warning signboards would be displayed at more than 800 locations, identified as “black spots” or accident-prone areas. He said currently police put up warning signs before mobile speed trap cameras but the notices were not according to the recently amended road transport rules. Jaafar said the signboards would be erected as soon as an inter-department Government committee had ironed out details on enforcement. PETALING JAYA: If you are among motorists caught speeding before warning signs were made mandatory, you will have to pay the price for committing the offence. Federal deputy traffic chief Asst Comm Mohd Fuad Abd Latiff said those caught on police cameras would still have to pay because the standard operating procedure then did not require warning signs. “It was not a law requirement then for police to warn motorists of speed traps. Those who have been issued summonses should immediately pay up,” he told The Star yesterday. ACP Mohd Fuad said police had been putting up signboards to warn motorists about speed trap cameras even before amendments were made to the Road Transport (Camera-Recorded Offences) Rules 2012 in September this year. “We have been practising this since Deputy Inspector-General of Police Datuk Khalid Abu Bakar announced that there would no longer be hidden speed traps in April last year,” he said. He said that before amendments, the law was silent on the need for warning signs. It was reported that Khalid had ordered his officers to stop ambush-style traffic operations to make the force more transparent. 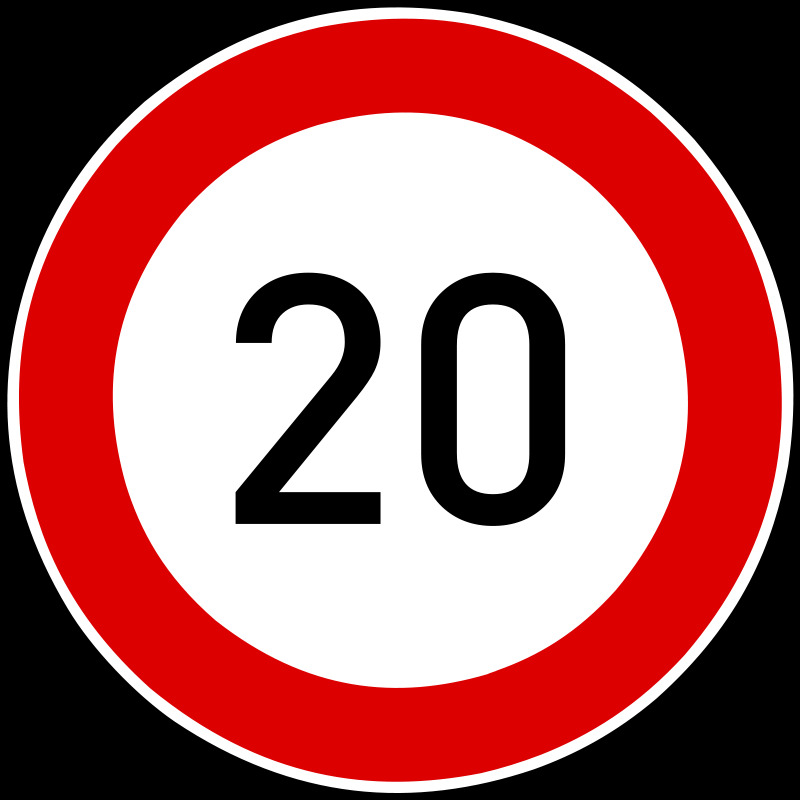 The Road Transport (Camera-Recorded Offences) Rules 2012 was amended to make it compulsory for signs to be erected to warn motorists of cameras to detect speeding and at traffic lights. Fourteen cameras had been activated in Selangor, Kuala Lumpur and Perak under the Automated Enforcement System (AES), which became operational on Sept 23. More than 79,000 summonses have been issued using the AES so far. Finally someone had “cover” the AES camera!!! haha! SHAH ALAM: A notice had been sent to the Road Transport Department (JPJ) asking it to dismantle the two Automated Enforcement System (AES) cameras installed in Kajang. State executive councillor Ronnie Liu said the Kajang Municipal Council (MPKj) had told JPJ to remove the cameras within 14 days, after which the council would dismantle the structures itself. “In the Local Government Act, any structure built on land, regardless if it belongs to an individual, organisation or government agency, must obtain a development order from the local council,” he told reporters yesterday. Liu said he did not have the exact date of the notice sent to JPJ, but said neither JPJ, the AES contractors nor the Transport Ministry had applied to MPKj to instal the AES cameras. At the Selangor Economic Action Council meeting last week, the state government decided to reject the implementation of AES in the state. Selangor Mentri Besar Tan Sri Khalid Ibrahim said JPJ had failed to obtain permission from the local councils for the construction of the structures. Meanwhile, Liu said the state government had agreed to foot the bill for the construction of the third Klang bridge instead of waiting for an allocation from the Federal Government. “The state has RM2.5bil in reserves, and the Mentri Besar has agreed to set aside RM300mil to build the third bridge to complement Jambatan Kota and Jambatan Musaeddin. “The bridge will be built by the Public Works Department (JKR) and the cost will be borne by the state,” he said. The 2.5km bridge was initially proposed at a cost of RM230mil in March 2008. 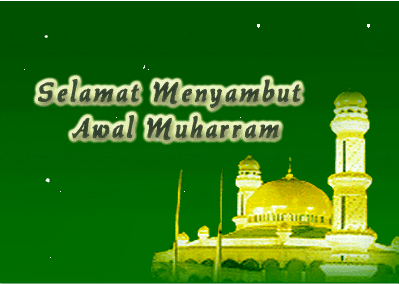 Awal Muharram merupakan detik penghijrahan Nabi Muhammad dan para sahabat dari Mekah ke Madinah. Sempena hari yang mulia ini kami mendoakan agar pembaca sekalian berazam untuk terus maju kehadapan dalam apa jua bidang yang diceburi. SHAH ALAM: A notice had been sent to the Road Transport Department (JPJ) asking them to dismantle the two Automated Enforcement System (AES) cameras installed in the Kajang municipality. State executive councillor Ronnie Liu said the Kajang Municipal Council (MPKj) had informed JPJ to remove the cameras within 14 days, after which the council would dismantle the structures itself. "In the Local Government Act, any structure built on land, regardless if it belongs to an individual, organisation or Government agency, must obtain development order from the local council," he told reporters Wednesday. Liu said he did not have the exact date of the notice sent to JPJ, but said neither JPJ, the AES contractors nor the Transport Ministry had applied to MPKj to set up the AES cameras. At the Selangor Economic Action Council (MTES) meeting last week, the state government decided to ban the implementation of AES in the state. Liu proposed that Transport Minister Datuk Seri Kong Cho Ha seek advice from Housing and Local Government Minister Datuk Chor Chee Heung on the matter. On a related development, Mentri Besar Tan Sri Khalid Ibrahim announced that former Malaysian Industrial Development Authority (Mida) director-general Datuk N. Sadasivan will chair the independent committee tasked with reviewing the development of a condominium project in Batu Caves. Selangor Town and Country Planning Department deputy director Norasiah Bee had been appointed as secretary to the committee, while the names of other committee members would be disclosed at a later date. Khalid said he would meet Sadasivan and the other committee members this week to discuss the scope of the committee. "Under its scope is to review all development projects implemented and planned in Batu Caves, and taking into account every aspect, including people's welfare, the interest of the Hindu community, environmental safety and existing laws," he said. The Batu Caves temple management had threatened to sue the state government unless construction to a 29-storey condominium project next to the Unesco heritage side is shelved. AES Detector v1.0.8 now released with speed detection. System will show your driving speed and compare versus speed camera limit. Version v1.0.8 is included with new advertisement network (Millennial Media). Thanks for all your great support, hope the system can assists all of you. The AES may not be the only solution to reducing road accidents but it can be an effective initiative in the long run. IT was supposed to be the solution for many of Malaysia's road safety woes, but the Automated Enforcement System (AES) has instead drawn mixed reactions. The latest was the Selangor state government's decision to block the installation and implementation of the system until an independent valuator reviewed if the Transport Ministry has “holistically” considered all necessary procedures. Transport expert and Universiti Putra Malaysia vice-chancellor Datuk Dr Radin Umar Radin Sohaidi, who came up with the AES concept when he was heading the Malaysian Institute of Road Safety Research (Miros), shares his views on the automated system. > Is the AES really the way to go to bring down road accidents and fatalities? It is one of the proven ways to tackle speed-related crashes and red light-running crashes in any country. In Malaysia, we have about 1,500 deaths, 5,000 serious injuries, 12,000 slight injuries, (and) around 50,000 damage-only crashes related to speed and running red lights every year on our roads. Many are just victims like you and me. > What are the pros and cons of the AES? AES offers a 24-7 enforcement opportunity, provided it is set up properly and there is good acceptance by all. At the same time, it eliminates discretion and corruption. It has the potential of reducing about 30% to 40% of speed-related and red light-running “Killed and Seriously Injured” (KSI) cases (around 2000 less KSI) per year. The key success factor is in the details, particularly on parameter settings and engagement with the public. The public should look at it from the public safety point of view rather than revenue generation. > Is there an alternative and different system that is comparable and just as effective? If so what and how does it work? Traffic calming like speed control devices such as humps, rumble strips, speed tables, super elevations, and delineation have also been used. However, they are only appropriate under certain conditions. In addressing speed-related and red light-running cases, the AES would be the best option. > Why do you think there is so much objection and resistance on the AES if the objective is to save lives and that those who do not commit traffic offences do not need to pay? First, it has been politicised and the general election is coming near. Second, the parameter settings were not done properly. Dr Radin Umar: AES offers a 24-7 enforcement opportunity, provided it is set up properly and there is good acceptance by all. Third, the public have not been properly informed. 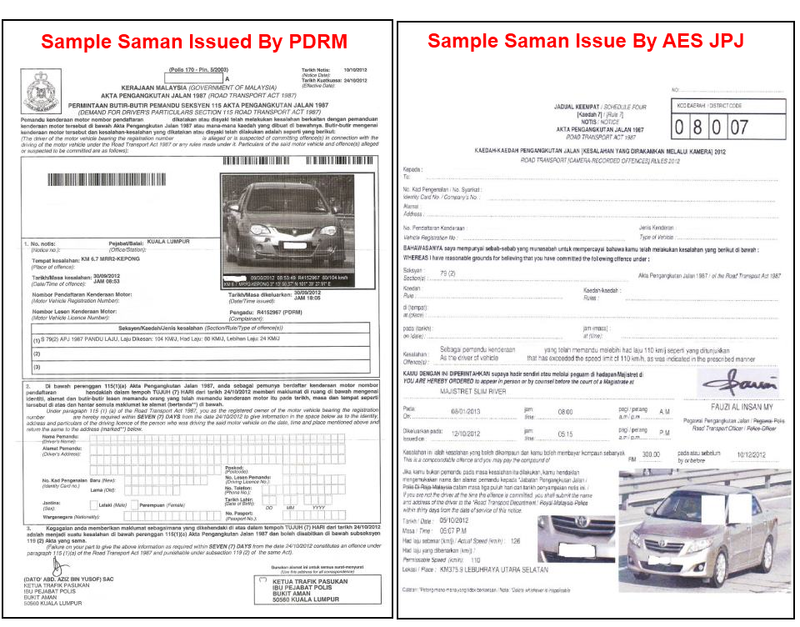 Fourth, there have been many spinners with the wrong knowledge and information, for example that AES is saman ekor which is not the case. Fifth, it is perceived as being subcontracted to a private company. Somehow, it is not promoted as a life-saving initiative. Hence, there is a need to get it right. > How surprised are you at the resistance to the AES? Not surprised. This is the normal cycle and has also been experienced by other countries. > What should or could be done to gain public confidence and acceptance of the AES? Site verification must be carried out. What is on the map must be on the ground. Collision mechanisms and road user movements (RUM) must be attributable to speed-related and red light-running crashes. We need the RUM and collision diagrams to verify this. Parameter settings must be carried out. Among the parameter settings for red light cameras are phasing, timing, inter green, dilemma zones, viability, layout configurations, lane balance, trapped lanes and others. All of these must be properly set first, before the camera is installed. This is to ensure that red-light running is not due to poor design of the intersection. For example, we can't blame the road user for beating the traffic light due to frustration (waiting for more than three cycles of red light). 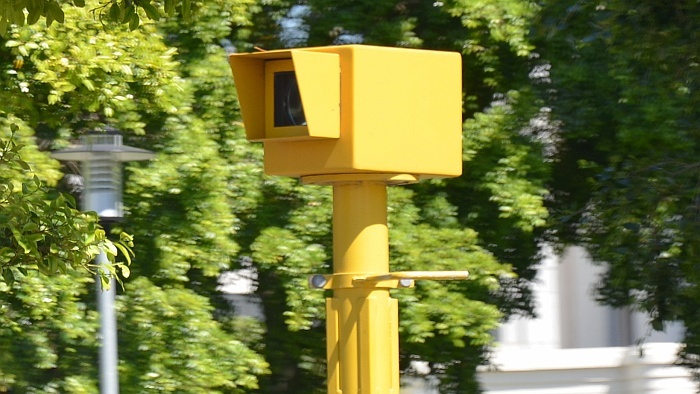 For speed cameras, the parameter setting would be speed consistency within a 5km section, speed change, approach speed, 85th percentile speed, and design speed, among others. If more than 15% are caught overspeeding, it indicates that the posted speeds are not appropriate. Signage is important, too. Finally, outcomes of the AES in saving lives must be communicated. > What is the best way to reduce accidents, fatalities and mishaps? Many interventions but each one depends on the (individual) crash characteristics. > Would harsher penalties help? Yes, for drivers abusing the system and endangering others. > People complain that the roads are bad, narrow and full of potholes; there are not enough motorbike lanes; people double-park everywhere; some reverse their cars even on a highway; they talk on the mobile phone or SMS while driving. They say the AES won't make a difference because it is NOT a holistic approach to addressing the problem because poor roads and bad driving remains. What is your comment? Yes, we are implementing comprehensive interventions. The AES is just one of the high-impact interventions. > Generally, how would you describe Malaysian drivers? I think we are still producing incompetent and unsafe drivers on the road. We need to improve our driver training, educate children in school (on road safety) and educate errant users via enforcement. > What do you think of calls for the speed limits to be reviewed upwards, on the grounds that the speed limits were set years ago and that cars and highways are much better these days? We will kill more people on our roads. Crazy idea. > Why was the AES privatised? People think that the Government should be the one to buy and enforce the system. Why not buy the equipment but pay a service contractor to maintain the system? It is not privatisation but rather PPP (public-private partnership). The process owner is still JPJ (Road Transport Department). Instead of JPJ buying, installing, and managing the equipment, it is outsourced to a private company. The company is supposed to install, maintain and help process the summons for JPJ, but JPJ will still be responsible for the whole process. The company is just handling part of the process. The current model is to buy the equipment (with money from the government) to operate and maintain. That's business as usual and the detection rate is low. Hence, abuse is high. The issue is not this. The issue is the missed detection of offenders, hence killing many. So, why must we protect the offenders? Having said that, however, the parameter settings must be right, as I have said earlier. > This interview was conducted before the Selangor state government announced its decision to block the implementation of the AES. The “Festival of Lights” symbolizes the victory of good over evil within every human being, a struggle we engage in every day. And tomorrow, it’s time to celebrate our success. Happy Deepavali. IPOH: A gathering by a handful of protesters against the Automated Enforcement System (AES) near Lumut MP Datuk Seri Kong Cho Ha's service centre in Sitiawan caused a traffic jam. Friday's one-hour protest was organised by a group of non-governmental bodies, including Bantah AES and Solidariti Anak Muda Malaysia. Among those present were Bantah AES coordinator and Angkatan Muda Keadilan Selangor information chief Saifullah Zulkifli, Teja assemblyman Chang Lih Kang, Pasir Pinji assemblyman Thomas Su and other local leaders from Pakatan Rakyat. Kong, who is the Transport Minister, rapped the protesters for causing convenience to road users. “I am disappointed with this illegal demonstration. “The organisers did not have a permit. If they did, the law enforcement officers could have advised them on how to hold a peaceful rally,” he told reporters at his service centre on Saturday. Kong said he was also disappointed with the Opposition for instigating the rakyat into holding such illegal activities. “The Penang Government's refusal to implement the AES and allow the police to catch errant road users gave the people the impression that it is all right to break the law,” he said. “What will become of Malaysia if they were to form the Federal Government one day?” he added. It was reported that the AES had led to a 73% reduction in road accidents since it was implemented five weeks ago. 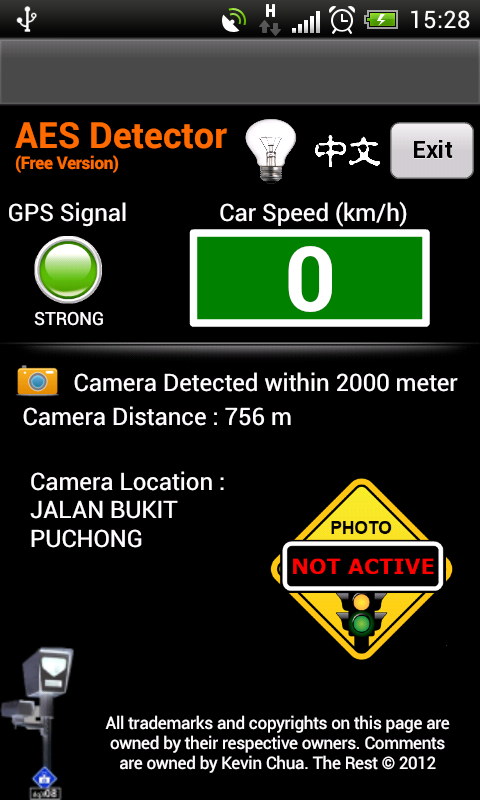 PETALING JAYA: FOURTEEN cameras, three states, more than 79,000 summonses issued. These are the numbers associated with the Automated Enforcement System (AES) so far. But it’s not the numbers that matter, at least not for the Road Transport Department (RTD), Road Safety Department (RSD) and Malaysian Institute of Road Safety Research (Miros), the triumvirate driving the implementation of the AES. The most important number, just more than a month after the AES came into being, is that the number of images of offenders being captured (or summonses being issued) daily has taken a drastic dip. Given that the cameras are located in “black spots”, or accident-prone areas, and are operational round the clock, the drop in the number of motorists being caught for speeding or beating traffic lights means there is less chance of an accident occurring. What this translates into is that lives are being saved, which is the biggest concern of the authorities. At some sites, the drop from the first week of implementation to the fifth week (up until Nov 4) is as much as 73 per cent (see graphics), and the "triumvirate" believes the figure can only get better. SHAH ALAM: The Selangor state government has decided to block the implementation of the Automated Enforcement System (AES) after being briefed by Road Transport Department (JPJ) director-general Datuk Solah Mat Hassan. Mentri Besar Tan Sri Khalid Ibrahim said Friday that following JPJ's briefing on Thursday at the Selangor Economic Action Council meeting, the state government would appoint an independent valuator to review if the Transport Ministry had holistically considered all necessary procedures before deciding to implement and install the AES. "From the briefing, the state government found that the Transport Ministry failed to get the approval to construct the structure for the AES from the local authorities. "Therefore, the state government will direct all local councils to inform the ministry that the installation of AES contravened the law and cannot be implemented," he said in a statement. Khalid said the agreement between the federal government and the concessionaire should be reviewed before AES was enforced, as the 17% profit margin for the concessionaire was unreasonable. "We also propose that the collection be kept in a trust, rather than a consolidated account, so that it can fund road safety awareness programmes. "By doing this, the people who pay summonses would be contributing to the nation and not help enrich businessmen," he said. Through the trust account, the concessionaire would only be allowed to collect reasonable profit to recover the cost of installing AES cameras. KUALA LUMPUR: Do not fine offenders under the Automated Enforcement System (AES) for the next few months, said MCA president Datuk Seri Dr Chua Soi Lek. In proposing a three-to-six-month grace period, Dr Chua said offenders caught by the 14 AES cameras during the period should not be fined RM300 for beating the red light or speeding. “Notice of summonses should be sent to the offenders as a warning so that they will not repeat the offence. “This will prove the Government's commitment in educating people about the system,” he said after chairing the party's presidential council meeting yesterday. In expressing regret that some Pakatan Rakyat leaders are taking the opportunity to politicise the issue, he said those who died in road accidents had families who mourned their loss. Dr Chua likened the country's roads to “war zones” because about 6,000 die in accidents every year. He called on AES detractors to abide by the law. “If people follow road regulations, they won't be issued any summonses. The companies might even go bankrupt,” he said. On another matter, Dr Chua said PAS president Datuk Seri Abdul Hadi Awang's willingness to stand in Pekan against Prime Minister Datuk Seri Najib Tun Razak at the next general election showed that he wanted to be a hero. “He knows that it is better to be defeated by the Prime Minister than an unknown person. So if he goes to Pekan, he won't mati katak (die in vain) but die as a hero,” he said. Dr Chua also said the party would submit its memorandum containing 25 proposals on the Malaysian Education Blueprint to the Education Ministry next week, following the party's Oct 6 forum on the matter. He added that the party's anniversary would be celebrated from January next year and every state would commemorate the event. PETALING JAYA- SELANGOR executive councillor Ronnie Liu said the state government has suspended all Automated Enforcement System (AES) cameras in the state. Thus, motorists issued with AES summonses in the state can ignore the fines, Nanyang Siang Pau and Sin Chew Daily reported today. In his Facebook posting on Monday, Liu said: "MB (Tan Sri Abdul Khalid Ibrahim) has decided to suspend the AES system in Selangor until and unless we have a good system." According to Nanyang, he said all AES cameras in the state are illegal and invalid as they are installed without approvals from the local authorities. Liu, who is local government, research and development committee chairman, said the state government had twice invited the AES operators to send their representatives for briefings but none turned up on both occasions. "Obviously, they have no sincerity in discussing the issue with the state government; neither do they respect the state government and the local authorities," he said, confirming the suspension of the AES until further notice. According to Road Transport Department figures, Selangor will have the most AES cameras, totalling 112 once the system is fully implemented. Liu said all development plans in the state require planning permits from the local authority. The state government has a good reason to intervene in the implementation of AES as no application for AES has been received so far. On concerns that the state government has no power to stop the federal government-initiated system, Liu said if motorists are hauled to courts over AES summonses issued in Selangor, the state government will provide proof during the hearings that the system is illegal and invalid. He said the state government is taking a wait-and-see stand and has no immediate plans to dismantle the AES cameras. He said today's (exco) meeting will look further into the system. AES gaffe – speedster caught, only it’s the wrong car! The camera never lies, so it goes, and it didn’t, in this case. Only thing is, they got the wrong car. Eh, what? According to news reports, an AES (Automated Enforcement System) camera recently caught a speedster doing the dirty in Perak, and duly slapped him with a ticket for speeding. Alan Leong, a manager with an electronics company, received the summons on October 18, which stated that his vehicle was captured going at 145 km/h at Km 204.6 of the North-South Expressway at 12.34 pm on October 10. The ticket indicated that Leong, who drives a black Toyota Harrier with plate number PKR 181, has to pay the compound fine of RM300 by December 11, failing which he’d have to appear at the magistrate’s court in Taiping on January 7 next year. All good and fine (no pun intended), except that the vehicle caught speeding as in the ticket was a white Toyota Camry, with the number plate PKR 1811. 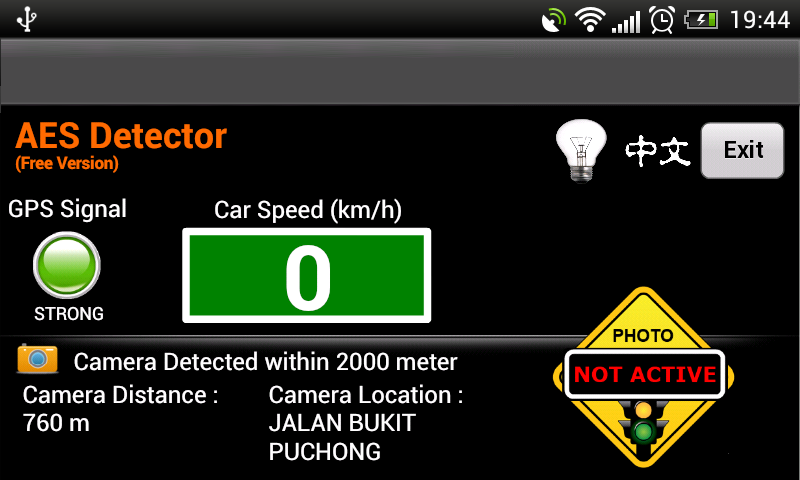 Finally AES Detector v1.0.7 manage to detect camera within 2KM. It was a great news for those who are waiting for this features. *For professional drivers (> 1xx km/h), you may try this version. This system should work a little bit smarter than earlier version. Hope the system can alerts you on time. HULU TERENGGANU: The Road Transport Department (JPJ) has stressed that the implementation of the Automated Enforcement System (AES) can help reduce the number of fatal accidents in the country and losses borne by the government due to road accidents. JPJ deputy director-general Datuk Ismail Ahmad said last year, 6,877 peoplewere killed in about 500,000 road accident cases nationwide, causing the government to incur losses nearly RM9 billion. "The authorities have done a detailed study of 831 areas identified as accident prone since five years ago before the AES was implemented. "Therefore, the people do not have to worry and not think the system is troublesome but an effort to save them from continuing to bevictims of road accidents," he told reporters after launching of a "OneCommunity One JPJ" in Kuala Telemong here today. PETALING JAYA: Penang Chief Minister Lim Guan Eng has said that although he opposes the implementation of the Automated Enforcement System (AES), those slapped with summonses should still pay up. “These are summonses that have been issued under the law, and the law has to be respected,” said Lim, who is the DAP secretary-general. Responding to the call by PAS vice-president Datuk Mahfuz Omar for AES summonses issued by the Road Transport Department to be ignored and contested in court, Lim said he understood why Mahfuz was saying so. “But as a Chief Minister, before telling people not to pay ... I would rather wait for discussions with the Transport Ministry,” Lim told reporters after opening the Selangor DAP annual convention here yesterday. He said Pakatan Rakyat and the state governments controlled by it would not have opposed AES as much if not for the way the concession agreement was drawn up. “There are many elements which have caused public anger, such as privatising enforcement and commercialising summonses,” he said. To date, the Pakatan-led state governments in Penang, Selangor, Kedah and Kelantan have decided to defer the implementation of AES in their states, involving 331 cameras out of the 831 to be set up nationwide. On the general election, Lim felt Pakatan Rakyat was still behind Barisan Nasional in terms of preparedness. Addressing the delegates, he said information showed that Barisan was 53% ready in Selangor and 70% ready in non-Malay areas in Penang. “We must be realistic. What is the state of readiness in defending our seats and winning more seats?” he asked.